I first heard of raw buckwheat porridge quite some time ago, and after seeing people's beautifully decorated bowls of it on Instagram, I decided to try it for myself. However, when it came to eating it, I was less than impressed, and after putting the buckwheat back in the cupboard I didn't so much as look at it again for months. But, a few weeks ago I was running low on breakfast ingredients and decided to give it another try. This time, I included more naturally sweet ingredients to balance the nutty, earthy flavour of the buckwheat and added a load of my favourite toppings, and it was a complete success! 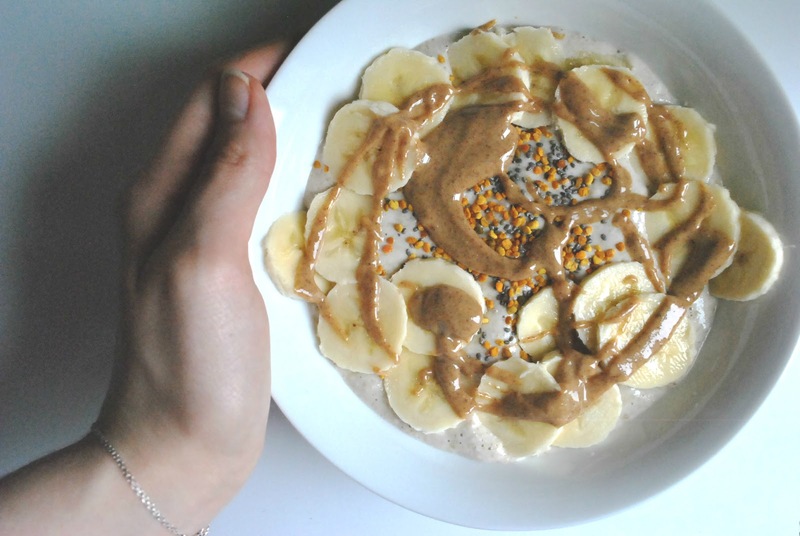 I'd created a bowl of creamy, filling and delicious raw porridge, and I've had it quite a few times since. Since this has become one of my favourite recipes, I thought I would share it here for anyone who might be interested. There is a little bit of prep involved, but it really only takes a few minutes, and in the morning it only takes a few minutes more to make, so you can treat yourself to a little bit of extra sleep on those groggy Monday mornings. Chop the banana into about five pieces, depending on the size of your banana, then put into an air-tight tub and freeze overnight. 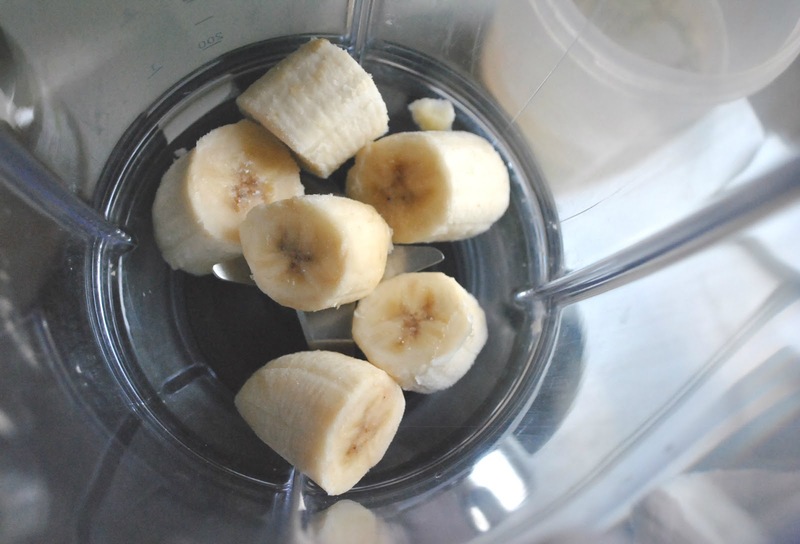 You could use fresh bananas, but using frozen ones will make your porridge much creamier. 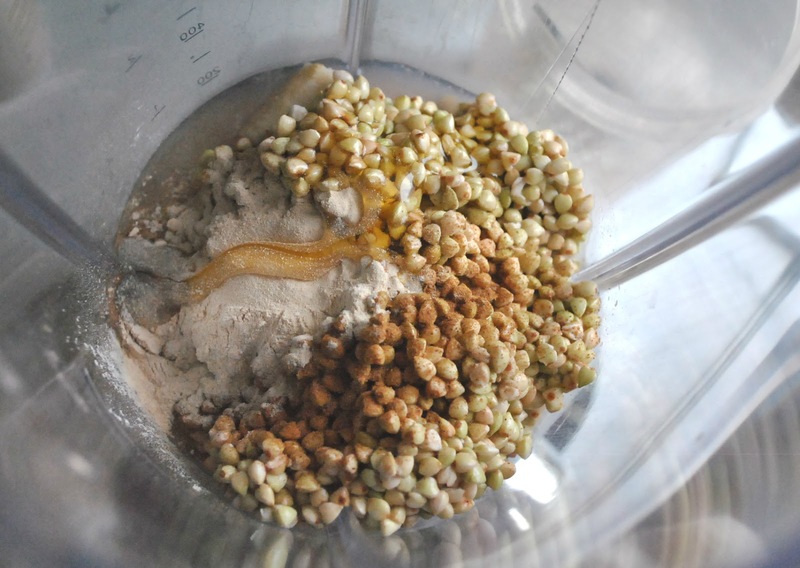 Pour some raw buckwheat groats into a bowl until you have what looks like a small bowl of porridge. The buckwheat will expand overnight, so keep that in mind. 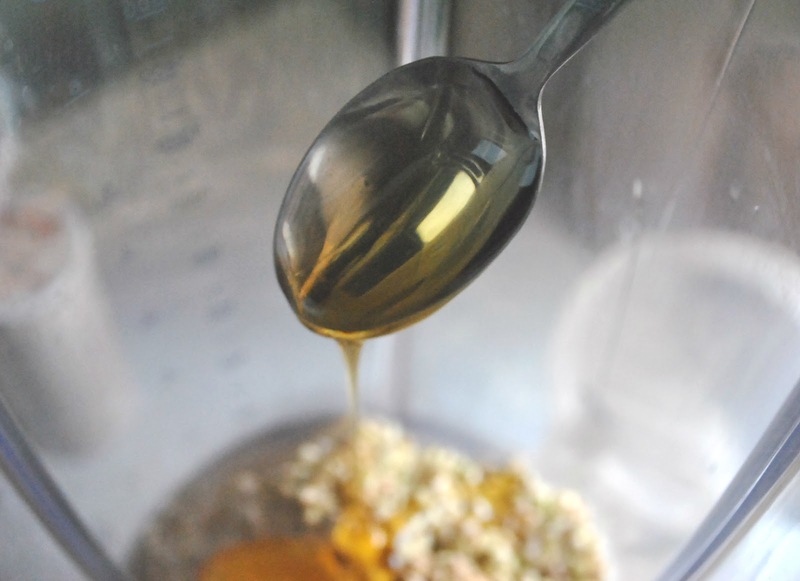 Then, pour into a jar or glass, add twice the volume of water, and leave to soak overnight. Pulse until the banana starts to break down and everything starts to combine. 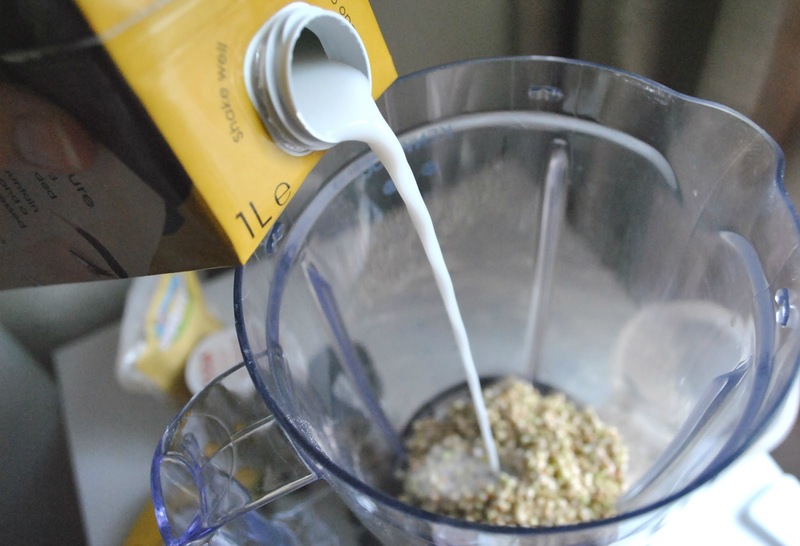 You want it to be quite a thick consistency so you may have to stir it more than you would a smoothie, but if it really is too thick add a little more milk. Once smooth and creamy, pour into a bowl and add your toppings. 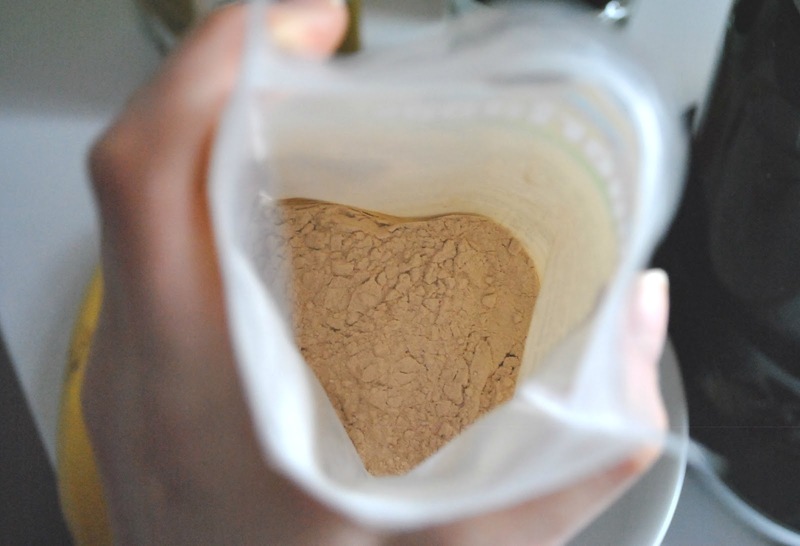 This is such an amazing breakfast as you can customise it according to your tastes and what you have in the cupboard, and it's perfectly filling, too, thanks to buckwheat being a complete protein. Buckwheat is also really good for steadying your blood sugar, so this breakfast will help curb those mid-morning-slump-induced sugar cravings. If you decide to try this recipe let me know what you think, and I'd love it if you could tweet me a picture or tag me on Instagram!